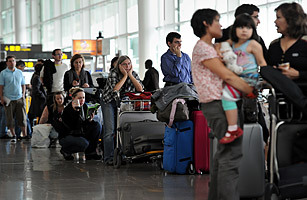 How much is it worth to you to cut in line at the airport? You can find out this summer, as several airlines have begun charging passengers a fee (between $10 and $30, depending on the airline) for the privilege of being first in line to board, ahead of that family of four with seven carry-ons. It's just the latest in the airlines' long campaign to boost their bottom line by quietly upping fees, cutting back on services and finding new ways of charging customers for things they used to get for free. Indeed, ever since the 1978 deregulation of the airline industry, the history of air travel has been one long, painful chronicle of nickel-and-diming the consumer to distraction. Here's a brief history, in 20 chapters.